Description: This is a Polish copy of a Mauser K98AZ. 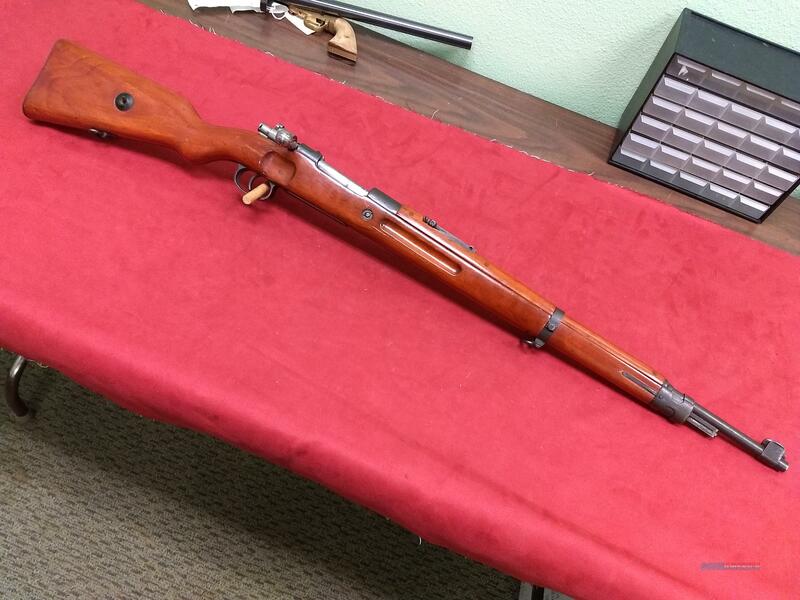 The rifle has been "sanitized" (most manufacturing & arsenal marks removed excepting the serial number) for sale during the Spanish Civil War, a real piece of history! The parts show all matching numbers. The action functions soundly and the bore shows strong rifling. Let us know if you need an optic or optic mounts! If you purchase the optic and mounts from us we can mount and boresight it to your firearm FOR FREE and ship the firearm to you ready for final sight-in. Be aware that once an optic is mounted the firearm will generally no longer fit in the factory box. To protect the firearm during shipping the additional purchase of a hard case is recommended.